Have employees ask themselves, “Do I have a big life event coming up, such as marriage or retirement?” It’s critical to choose benefits based on present and future needs. 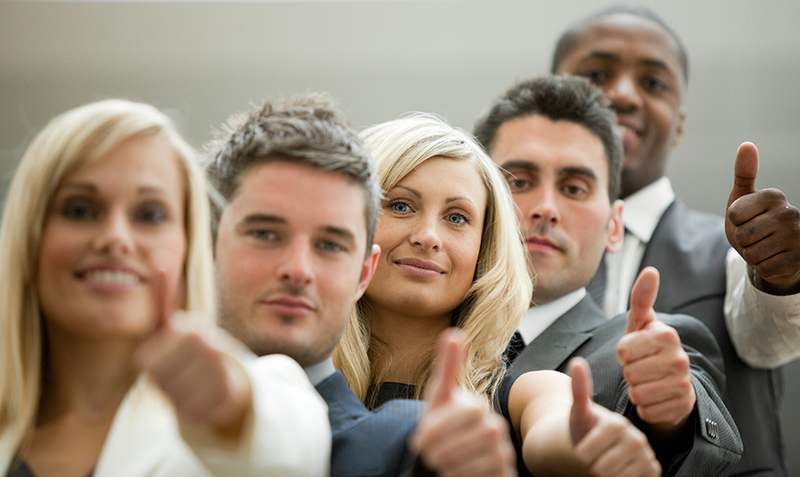 Make sure that employees review their benefits and fully understand them. Only half of employees said they thoroughly reviewed their benefits choices last year. Financial uncertainty: In contrast to decreasing unemployment numbers, American workers remain pessimistic about their financial future. Less than half feel in control of their finances. Even fewer expect their situations to improve in the next year (46% in 2015, compared to 52% in 2014). More than half are concerned about having enough money to cover out-of-pocket medical costs as well as meeting monthly living expenses and financial obligations. These worries that have increased every year since 2012. Job Satisfaction: More than half of employees are satisfied with their jobs and are committed to the organizations’ goals. An increasing number plan to be with their companies a year from now. Financial Benefits: 71% of employees consider work to be the foundation of their financial safety net. Sixty-two percent of employees want more financial security benefits. Millennials are more financially vulnerable compared to their counterparts. Gen Xrs say they are less secure than other generations. Appreciation of benefits: Half of employees agree strongly that their benefits help them worry less about unexpected health and financial issues. Seventy percent of employees say that having customizable benefits would increase their loyalty to their employer. 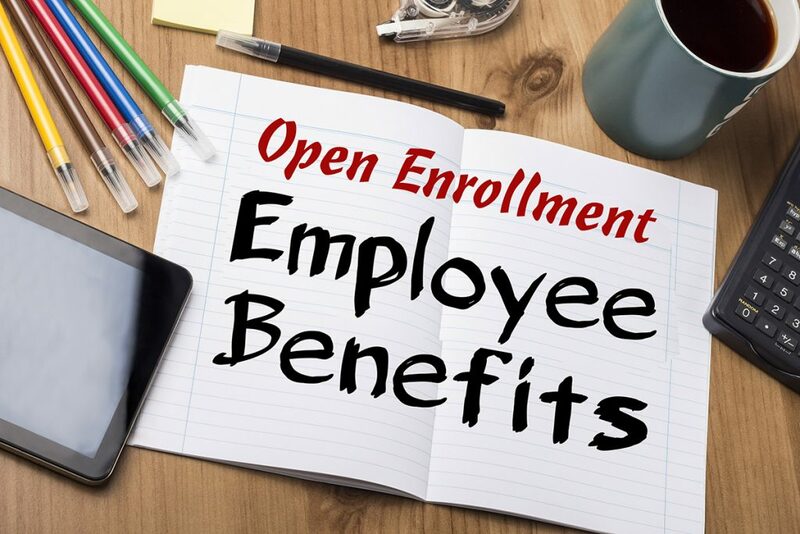 Supplemental benefits: Employees continue to ask for a range of solutions, especially for more common benefits, such as medical, prescription, 401(k), dental, life, and vision care. Employers are keeping pace with many of their employees’ top benefit requests. However, there are large gaps in accident insurance, critical illness, and hospital indemnity. 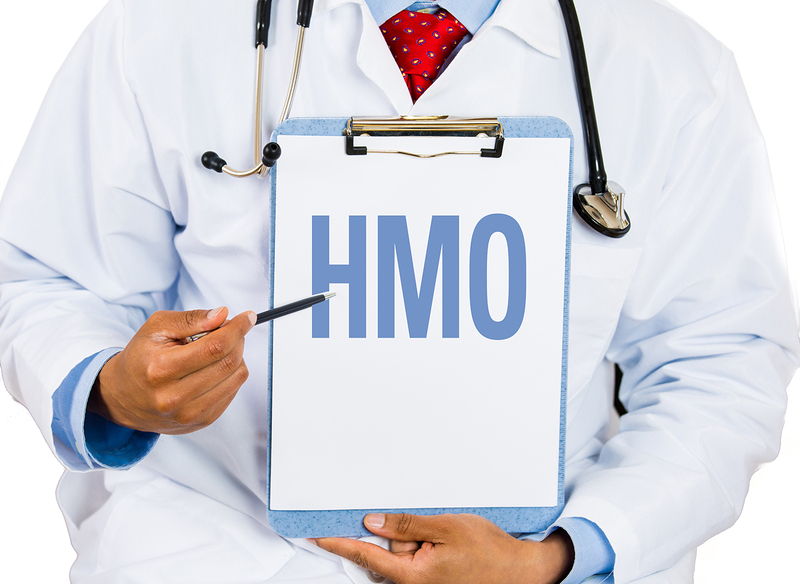 Most employers understand how non-medical benefits can provide financial protection, such as offsetting out-of-pocket medical expenses. Yet, only 47% of employees believe that supplemental health benefits can help close these gaps. A streamlined plan design: Plan design, claims management, and implementation rank highly as advantages of streamlining the number of carriers that employers use. Use of enrollment firms: Three-quarters of employers have positive attitudes towards enrollment firms. Seventy-one percent of employers say that working with an enrollment firm helped them improve benefit communications. Wellness plans: More than two thirds of employees are interested in physical well-being programs that reward healthy behavior. This is especially true among Millennials (75%) and female employees (72%). Retirement Benefits: Forty percent of employees say that having retiree benefits is a key reason to stay with their employer. Millennials feel the most strongly about this, probably due to their lack of financial confidence. About a third of employees plan to postpone retirement, an increase of 5% over 2015. Almost 6 in 10 employees plan to work or consult once retired. Of this 60%, 44% plan to work part-time. Older workers: With today’s workers redefining what it means to be a retiree, employers must also redefine what retiree benefits look like in order to appeal to this rich reservoir of talent. For example, 63% of employees say that dental is a must-have retiree benefit while only 42% of employers offer it. Similar gaps can be found across other critical non-medical benefits, such as vision and life insurance. More than half of employees say that their employer does not offer any employer-paid non-medical benefits. With retiree benefits being such an important loyalty factor for many employees, employers have an opportunity to keep pace in 2016 and beyond. Since 2009, employer-sponsored insurance has been on the decline in California. A key question around the Affordable Care Act (ACA) was whether the reforms would further erode employer-sponsored insurance coverage. A recent survey by the California HealthCare Foundation finds that employer-sponsored insurance in the state has remained stable from 2013 to 2015. Worker eligibility for employer-sponsored insurance also remained stable, and even increased among some groups. However, the percentage of eligible workers who chose to enroll in employer-sponsored insurance declined from 86.4% in 2013 to 80.2% in 2015, bringing California closer to the national average take-up rate of 79%. This decline could be caused by the availability of alternative coverage options through Medi-Cal and Covered California. For more information, visit chcf.org. Melissa Grimmesey, 42, of Santa Maria, was hit with nine felony charges. Grimmesey was a former licensed insurance agent and customer service representative for an insurance agency in the Santa Barbara area. She allegedly stole premiums from policyholders who paid cash for insurance premiums. She then used other customers’ credit cards to repay the stolen premiums. Grimmesey allegedly recorded the cash payments in the computer system and then deleted the transactions to avoid detection. Grimmesey’s alleged crimes left some policyholders without coverage and at financial risk. The case is being prosecuted by the Santa Barbara County District Attorney’s office. Making Medicare understandable and accessible is one of the goals of the newly launched website for California Health Advocates. “With close to 1,000 pages of quality and reliable Medicare information for consumers and professionals, we strive for a site that is both welcoming and easy for people to get their questions answered and equipped with helpful resources,” said Tatiana Fassieux, Board Chair for California Health Advocates. For more information, visit cahealthadvocates.org. The California Dept. of insurance reached settlements with Hartford, Securian, Great American, and the Standard over the Social Security Administration’s Death Master File database. The insurers agreed to compare all company records against the Death Master database to determine whether there are unclaimed death benefits and conduct a thorough search for beneficiaries. Hartford will pay a settlement of $2.1 million, Securian will pay $625,000, Great American will pay $400,000, and the Standard will pay $277,000 to the states participating in the national investigation. All four insurers agreed to reform their business practices to benefit policyholders and use the database to search for policyholder beneficiaries that might be owed benefits from a life insurance policy. The Death Master File provides insurers with the names of deceased people in the U.S. who have Social Security numbers. Until recently many life insurers used it just to identify deceased annuity holders in order to stop making annuity payments, but not to pay life insurance benefits. A national investigation and settlements by state insurance commissioners led to life insurers returning more than $6 billion to beneficiaries nationwide and over $2.8 billion delivered to the states’ unclaimed property programs, which continue efforts to locate and pay beneficiaries. To date, over 78% of the life insurance market has agreed to comply with the law through settlements or has been found in compliance. For more information, visit lidma.org. Many health policy experts warned that the Affordable Care Act would lead to massive consolidation in the health care industry, including hospitals, physicians’ practices, and especially health insurers. Now the Justice Department is pushing back by opposing the mergers of four large health insurers—Aetna with Humana and Anthem with Cigna. The real question is whether the insurers will continue to sell in the exchanges if they aren’t allowed to merge? The Obama administration says that the mergers would reduce competition. Attorney General Loretta Lynch explained, “If allowed to proceed, these mergers would fundamentally reshape the health insurance industry.” That’s rich, since nothing has reshaped the health insurance industry more than Obamacare—and by design. But government antitrust litigation is almost always about politics rather than economics. And that’s why free market advocates tend to be skeptical of most government antitrust efforts; companies, not the government, are in the best position to judge whether a merger would be beneficial. And politics is certainly at work in this instance. President Obama promised the country that his health care legislation would increase competition and lower health insurance premiums. Now that just the opposite is happening, his administration is trying to limit the fallout and appear to be fighting for the consumer. But blocking the mergers will likely hurt consumers and competition. Aetna said it lost about $140 million on the individual market in 2015. The Texas Blues Cross parent company, which controls Blues plans in five states, lost a reported $2 billion—$720 million just in Texas. Oscar, a start-up health insurer that was supposed to bring new thinking to the individual health insurance market lost $105 million on Obamacare exchanges in 2015—and that was in just two states, New York and New Jersey. UnitedHealthcare, the largest health insurer, reported last January that it lost $720 million in 2015 selling individual health insurance on the Obamacare exchanges. And about $1 billion when 2014 and 2015 were combined. And 16 of the 23 nonprofit Obamacare co-ops—which were the left’s consolation price for not getting their “public option”—have gone under, with more collapses on the way. The left has long wanted to “take the profits out of health care,” and Obamacare seems to be doing exactly that. Obama officials dismiss the health insurer losses, claiming that many of the insurers are still profitable. But that’s because health insurers often have several lines of business, some of which may be profitable even as they lose hundreds of millions of dollars selling in Obamacare exchanges. No responsible board of directors will let such losses continue indefinitely. Larry Levitt of the Kaiser Family Foundation has been quoted as saying, “Something has to give. Either insurers will drop out or insurers will raise premiums.” And that’s exactly what we’re seeing. Nationwide, there was a 12% decline in plans in 2016 as compared to 2015, and that includes a 40% decline in PPO plans. There will be even more exits in 2017. Prior to Obamacare there were 18 insurers offering individual coverage in Kansas. Today there are three. The Obama administration initially praised health insurance competition in Maricopa County, Arizona. This year there were eight plans available on the Obamacare exchange; next year there will only be four—unless Aetna drops out, too. And insurers that choose to remain are increasing premiums. Texas Blue Cross has requested an increase of up to 60% for its 2017 premiums, and Arizona Blue Cross requested a 65% increase. We know Humana, without the merger, is pulling out. Aetna claimed for months it would remain in the Obamacare exchanges, but is now saying it may scale back. And Anthem announced recently that it will only expand into other exchanges if it’s Cigna merger goes through. In other words, the Obama administration’s efforts to keep four insurers from becoming two may mean that only one or none will continue selling on the Obamacare exchanges. Expect to see even fewer insurers participating and higher premiums as financial losses increase, especially if the Obama administration continues its efforts to stop money-losing insurers from merging. Policyholders will likely be receiving the notice that their premiums are rising or policy is being canceled in September or October—just before the election. Merrill Mathews is a resident scholar with he Institute for Policy Innovation at ipi.org. Guardian Life introduced individual disability insurance with enhanced customization options. Provider Choice offers three simple policy packages. Each package includes a base policy with hospice care and provisions for serious illnesses such as cancer, stroke, and heart attack. Policies can be customized with riders, or options, that address customers’ needs. Provider Choice offers riders that can cover retirement plan contributions, partial disability, and options to help keep pace with inflation. A student loan benefit rider covers repayment of student loan debt, which is typically a significant financial commitment for professionals with advanced degrees. Professionals, such as physicians and dentists, can select the “true own-occupation” option. Provider Choice also offers a enhancement just for physicians. Policies are non-cancellable and guaranteed renewable. For more information, visit guardianlife.com/disability-income-insurance/enhanced-disability-income-protection. MassMutual introduced group critical illness and accident policies through employers, directly or through MassMutual’s BeneClick! integrated benefit exchange. The coverage is voluntary or on an employer-paid basis. The policies cover employees and, where available, spouses and children. For more information,visit massmutual.com. Humana is offering a well-being rider with its voluntary benefit product portfolio. The rider pays a cash incentive for getting standard screening tests. If a screening test yields a diagnosis of one of six covered conditions, the employee gets a cash incentive to enroll in a covered lifestyle program and another cash incentive to complete the program. The incentive also applies if the employee has already been diagnosed with a covered condition. For more information, visit humana.com. eLife LLC introduced “eTerm Express,” a life insurance offering with an entirely paperless application and approval process. It enables agents to serve middle market life insurance buyers easily and cost effectively. Face amounts are from $100,000 to $500,000. Qualified applications are approved in minutes with multiple underwriting classes. For more information, visit elifesolutions.com. Agent Review teamed up with Inigo to offer a digital business card app. It sends designed contact information to anyone you meet while importing contact info about your new acquaintance. Agent Review is an online platform that allows consumers to search and review local agents. All members get unlimited custom business cards, tracking of who clicks and views their cards, and downloadable data. For more information, visit agentreview.net. DoctorGlobe offers an online U.S. domestic hospital-shopping interactive platform for self insured employers. DoctorGlobe’s bonus-incentive strategy replaces the traditional approach by waiving out-of-pocket costs for the plan participant, and providing a cash award as a part of the corporate savings. DoctorGlobe ranks hospitals on distance, cost, and quality, offering plan sponsors the choice to work within their provider network, with out-of-network providers, or both. For more information, visit doctorglobe.com. Figo Pet Insurance created the Pet Cloud App. You can keep all of your pet’s records, locate dog parks, or find your pet with their pet tag. Figo offers pet insurance plans averaging less than a $1.50 a day. It covers all non-pre-existing illnesses or injuries with no limits on claim payouts. It reimburses up to 100% of the vet bill; is accepted at any licensed veterinary practice, emergency hospital, or specialist; and has a yearly deductible instead of the traditional (and more expensive) per-condition deductible. For more information, visit https://figopetinsurance.com.